Multigenerational families in the Philippines are moving into homes located in just one building. Here’s why you should consider that too. These days, empty nesting doesn’t present much of a problem for older generations of Filipinos—not when their children are perching on other branches of the same tree. In fact, more Filipino families are moving into “vertical compounds,” wherein multiple generations live on separate floors or in different units of the same building. Within the last decade, the number of multigenerational households in the Philippines has nearly doubled. In 2007, a study published in the Philippine Population Review found that 21.4 percent of Filipino families live in households that include children, their parents, and their grandparents. Viacom Global Insights’ 2017 Kid Power survey, on the other hand, saw the number of Filipino kids living in these types of multigenerational households balloon to 41 percent—well above the global average of 13 percent. This growth in multigenerational households has led to a shift in how families relate to each other and in turn, how their homes are built. Having a multigenerational household has its downsides, but the benefits prove to outweigh them in the long run. Companionship and support are cited to be the biggest benefits of this setup. When executed right, a multigenerational household can hit the perfect balance between privacy and proximity. With the recent boom in condominium development in Metro Manila, more Filipino families are opting to live in vertical compounds. It isn’t enough, however, for generations to live in the same building; each family’s home needs to be conducive to their lifestyles. Neighborhoods like New Manila, for example, tend to be more preferable locations for multigenerational families than those located within or near the metro’s central business districts. These areas are quiet enough to feel like an exclusive village, but close enough to commercial centers and major thoroughfares to connect everyone with what brings city life its unique energy. According to one New Manila family living in this setup, spacious interiors are also an important consideration. Condominiums like SkyVillas at One Balete, for example, with floor-to-ceiling heights of 3.1 meters and up to 400 square meters in floor space, create a sense of privacy within their homes without isolating them from their parents. That luxury of space allows them to feel like their respective homes are fully theirs, despite living in the same building. It also gives their families room to grow, just as much as their village homes would. Perhaps the most valuable change the vertical setup brings to modern Filipino families is that it also strengthens the bond between generations. 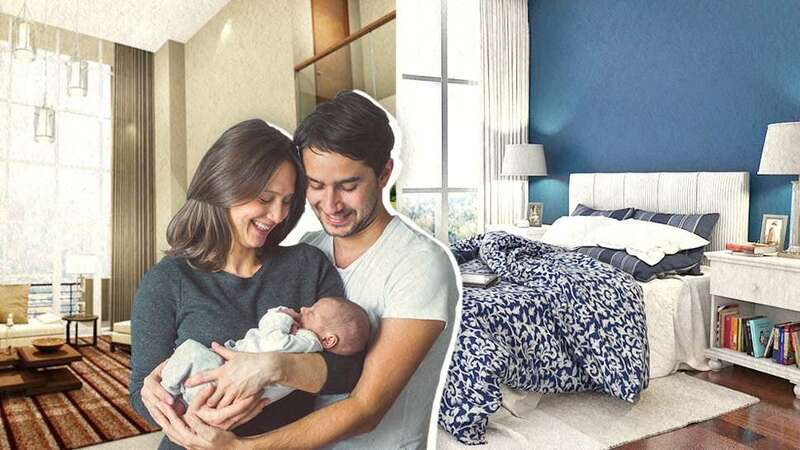 Picture this: a soon-to-be grandmother is excitedly having a nursery set up in her spacious two-bedroom (132 sqm) club suite so that her son doesn’t have to bother looking for a sitter come date night. He can just head upstairs and drop his daughter off with Lola. It’s an ideal environment they can live in for decades to come, with several parents looking to pass on their homes to their children later in life. For Filipino families, this sense of heritage is priceless. To learn more about SkyVillas at One Balete, click here.